One of the things we have struggled to find are tasty replacement pastries. We used to love popping to the local boulangeries for weekend treats. Our favourite was at Trois Dauphin on rue Montroge. We came close this recently with a trip to the Stockbridge Market. Tasty croissants aux amandes, filled with frangipan. 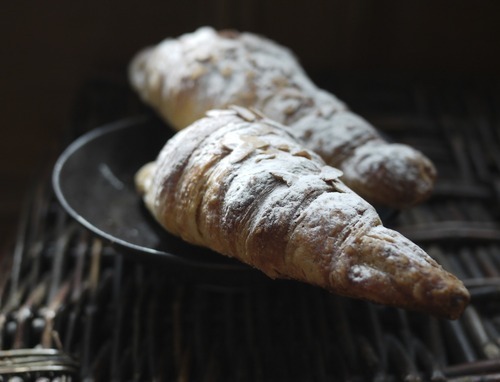 In France they use day-old croissants filled with the almonds and then baked- a calorie bomb is there ever was one. These were lighter and probably a bit healthier, but I doubt it. Continuing on with the French-theme, I came home recently to homemade quiche. Ben had even made the pastry. 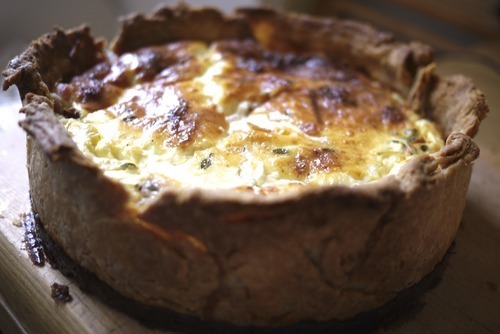 It was a classic Quiche Lorraine (recipe from our Tartine cookbook). - Lamb burgers with sun dried tomatoes and feta- very summery (we had three days of sunshine last week) and on homemade bread buns (by me) with James. - Cinnamon Baked French Toast with Leanne and Robyn. - We enjoyed these Banana Crumb Muffins with Chloe. - Have you tried lasagne with lamb, you should try this Lamb and Feta Lasagne. 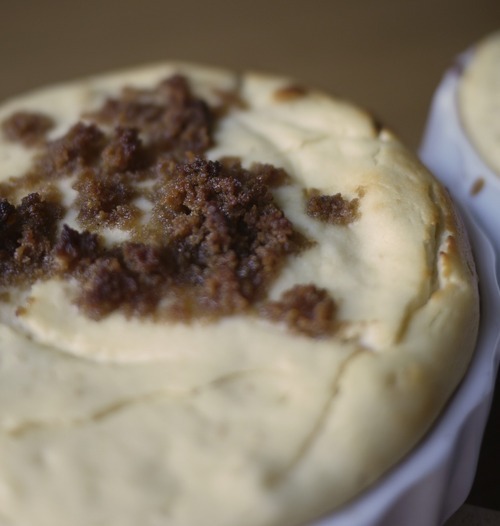 - Mini-ricotta cheese cakes with added ginger- nice!